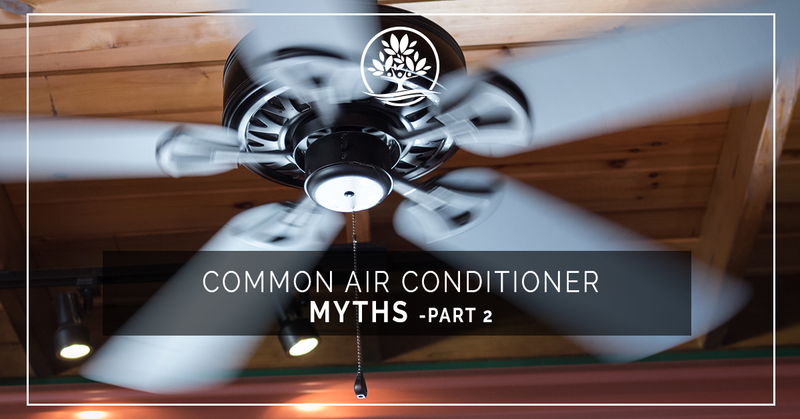 Welcome back to part two of our series on common air conditioning myths. We all love the wonderful cooling sensation that our air conditioners provide us. But when they work properly, we don’t often think about how they work. The result is that there are a lot of myths and misconceptions surrounding air conditioners. As New Braunfels’ preferred choice for air conditioner repairs, we thought we’d clear the air and separate fact from fiction. If you’re only spending time in one room of your home, and the others don’t need to be cooled, you might consider closing the vents in that room. Many people believe that by closing the vent, the air conditioner does not cool the air in that room. The fact is that all that is being done is that you ’re cooling your air ducts. Your AC system is designed to cool the entire house, and cannot target specific rooms or spaces. In fact, by closing some vents, your AC may actually have to work harder to cool your home. Closing the vents in a room allows the humidity to build up in the space. Your AC also removes moisture from the air, and a sudden spike in the humidity of the home forces the AC to use more energy to cool the rest of the home. We all know the feeling of relief that comes with standing in front of a large fan that’s moving at full tilt. Even on the hottest days, you’ll start to cool off quickly. But the fan itself doesn’t cool the air. What the fan is doing is that it is circulating the air in the room. Because the air is moving, it moves across your skin and evaporates the sweat accumulated there. You feel cooler because of a process known as evaporative cooling. As the sweat wicks away, your skin cools. That doesn’t mean that fans aren’t effective in keeping your cool. Pairing a fan with an AC unit is a great way to lower your body temperature without turning the thermostat down. Another common myth is that by using an AC to lower the temperature of your home, your body is more susceptible to catching a cold. While studies have shown that cold can limit the effectiveness of your immune system, the reality is that your AC likely will not ever make your home cold enough for that to be a serious threat. In fact, your air conditioner is likely keeping you from getting sick. The air filter catches much of the harmful pollutants that try to enter your home, meaning the quality of your indoor air is better than if you didn’t have an air conditioner. The result is that your home is full of clean, treated air. Is your air conditioner in need of repairs? Then trust the mythic expertise of the AC repair technicians at Legacy AC And Heating Services. With more than 30 years of experience, we can quickly and affordably repair your air conditioner in New Braunfels. Call us today!